I'm really high on oatmeal right now. I want everyone in the world to know how good oatmeal is for you. Under that mindset, I was hopeful that I'd really like this new cereal. The good news is that I did really like it. It's very, very flavorful. Pure maple can have a near smoky quality. The maple flavor here is more like pure maple syrup than the imitation maple flavor we're fed by other cereals. I'd even call the flavor intense. I'll even predict that some people will comment that the cereal has a burnt flavor. These will be the people who prefer Mrs. Butterworth Syrup to pure maple syrup. All that said, if you're a fan of pure maple, this is a good cereal choice for you. And don't even get me started on the benefits of including oats in your diet. I could write an entire article about it. Oh wait... I did write an article. It's right here. What do you think of Maple & Brown Sugar Oatmeal Crisp? This reminds me of the old quaker oatmeal flakes stuff, which has disappeared! I tried this, loved it, and now I can't find it anymore! 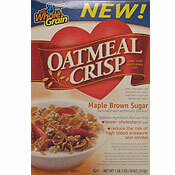 I have never liked eating cereal for breakfast but after trying Oatmeal Crisp Maple & Brown Sugar I was hooked. The past several months I have not been able to find it in any of our local supermarkets. Help!! Where can I get some? I really like this cereal but have not been able to find it in any of the stores in the DC metropolitan area. My Mother LOVES maple brown sugar Oatmeal Crisp. I cannot find it on the shelves in any grocery store in Orlando, Florida area. I love this stuff I eat a bowl every day and not always for breakfast. My partner loves it too, so we always buy more than one box at a time. I loved it. I ate three bowls the first time I tried it and I can't drink milk. I tried a box and the taste exceeded my anticipation. Honey Bunches & Oats can't compare. This products delivers taste and crisp unmatched. Cost in some markets can be excessive!!! In fact, without coupons, sales... I'm not in favor of purchasing despite the taste. This definatey is the best flavor of Oatmeal Crisp out there. How can you go wrong with maple & brown sugar in the morning? Perfect combo for a breakfast cereal. Just the right amount of sweetness for a "healthy" cereal. 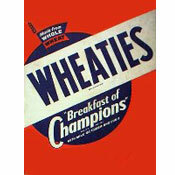 Before this cereal, I only ate breakfast on the weekends (Cream of Wheat or Sausage & eggs). But in trying to incorporate more fiber and heart-healthy foods into my diet, I decided to try this cereal. It's delicious. I (faithfully) eat it every morning before work. I have not tried the other varieties of this cereal, but WOW - What a treat! I would highly recommend Oatmeal Crisp Maple & Brown Sugar. Try it ~ you'll like it!